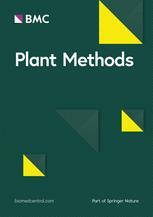 As an open access journal, Plant Methods is aptly placed to communicate new evolutions in methods to the plant biology community. Well established, with articles first being published in 2005, the journal’s primary goal is to deliver reproducible and innovative research on techniques, tools and technology with applications in plant science. The journal is also committed to integrating data from different laboratories to form a methodological consensus.